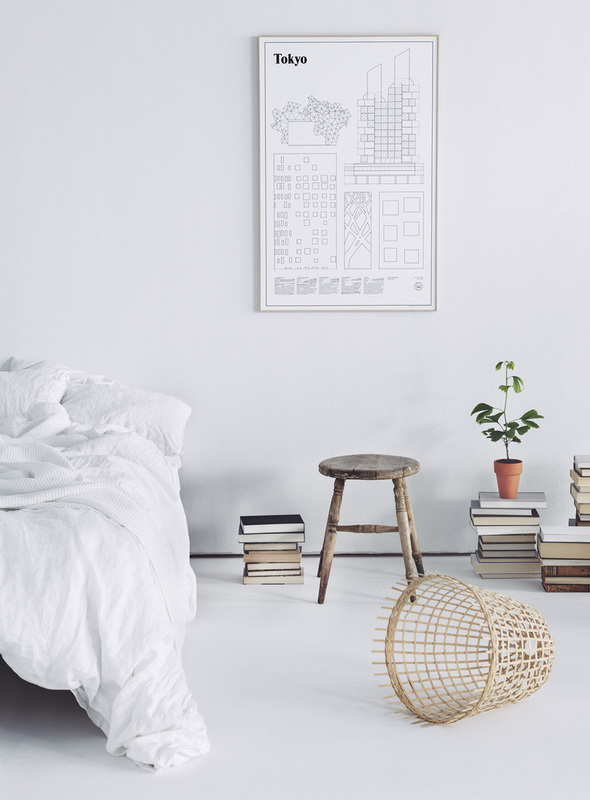 Swedish studio esinam is not your usual architecture and interior design studio. 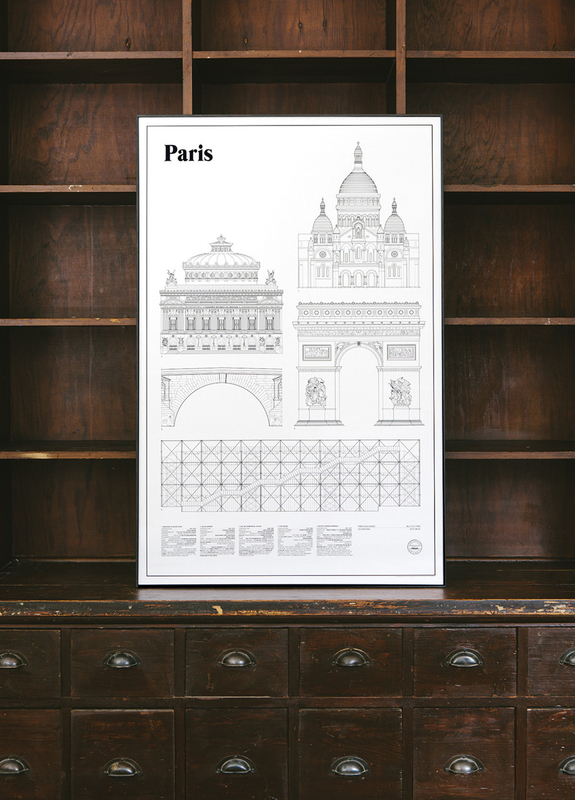 Armed with a deep sensibility for the minute and unnoticed details that make up our experience of the cities, neighbourhoods and homes that we spend our lives in, the studio lovingly ‘draws the portrait’ of some of the world’s most famous capitals. 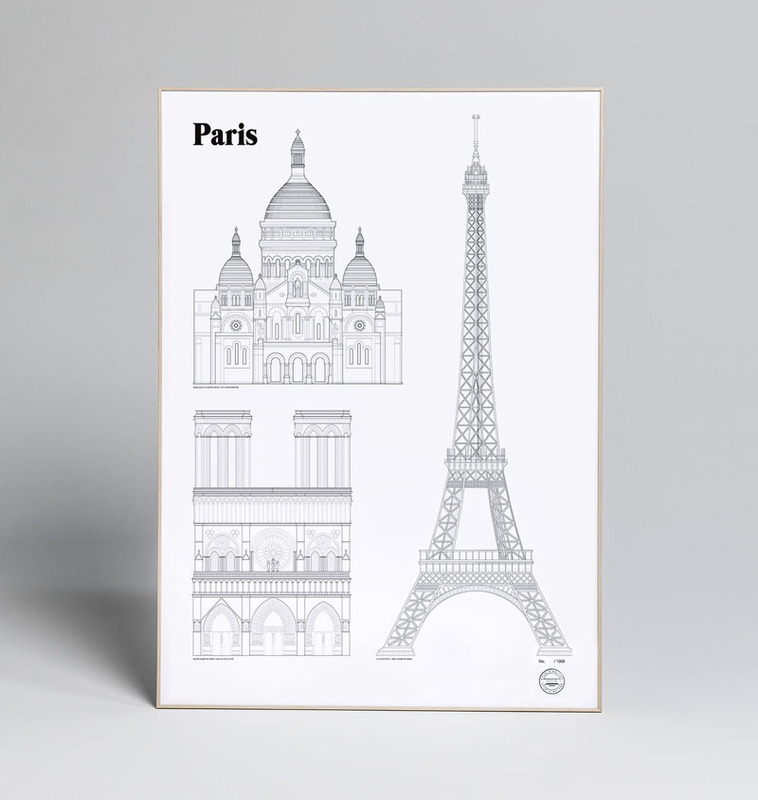 The ‘Elevations’ project, an architectural prints series featuring detailed drawings of renowned urban buildings and landmarks, was launched in January 2014 and is perhaps what the studio is most famous for. 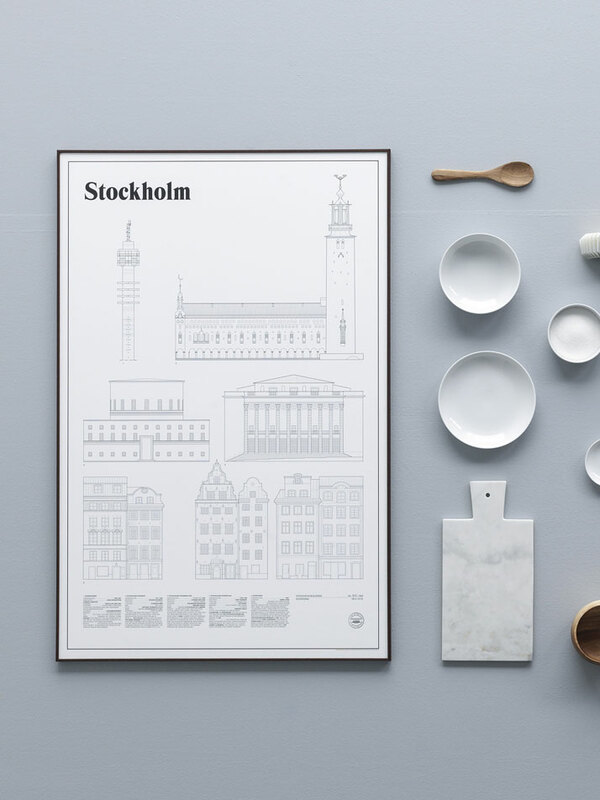 Focusing more on the craftsmanship of the drawing itself, the creative duo behind studio esinam allows itself to be surprised by the unexpected details and facts in each city they explore. So far the Elevations series includes prints themed after Paris, Tokyo, Berlin, Stockholm, Gothenburg and Brooklyn, with a new print about London currently in the making, available as limited editions and measuring 65 x 100cm. We particularly love the way these prints have been photographed in various contexts and together with different objects, a treatment that further reveals studio esinam’s refined design aesthetic and attention to detail. 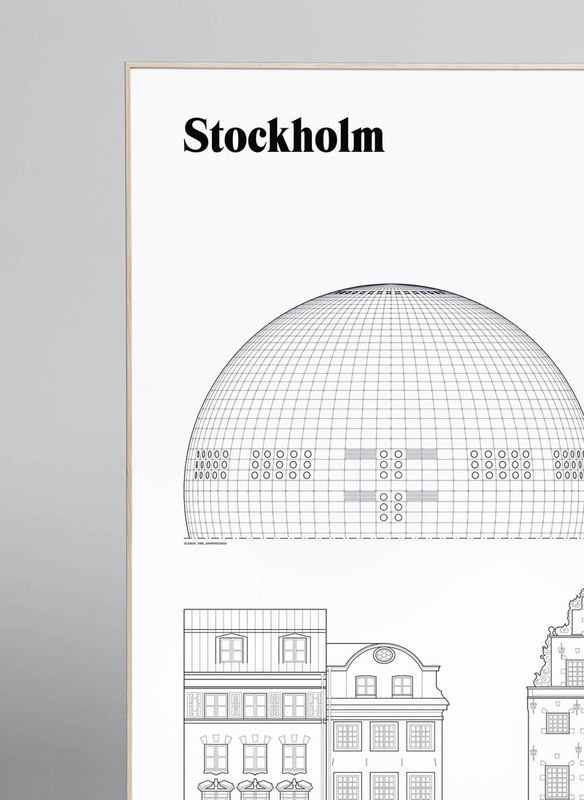 “By covering aspects that may otherwise pass unnoticed we hope to let people discover new details and ways to appreciate architecture, deepening the experience of the places and spaces we already love as well as finding new ones to explore,” write Studio Esinam’s founders, director Josefine Lilljegren and architect Sebastian Gokah. 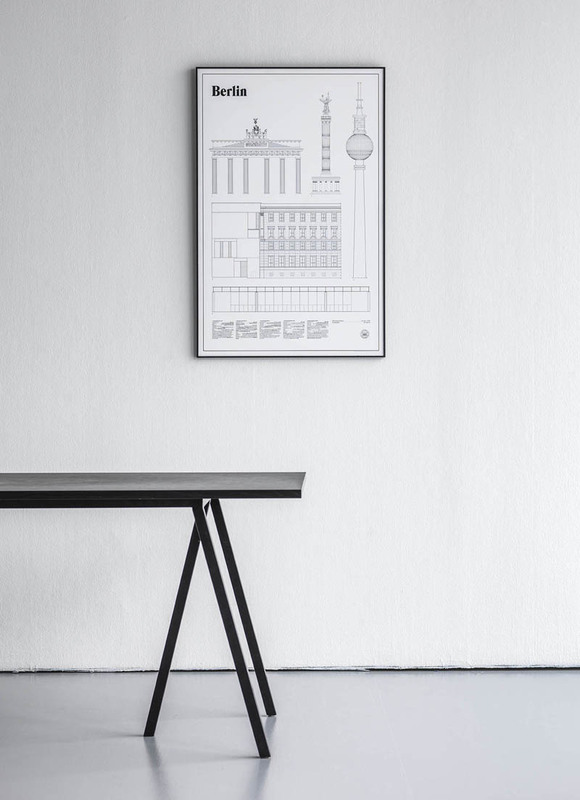 The latest additions to the project see Copenhagen’s distinctive styles converted into monochrome illustrations. 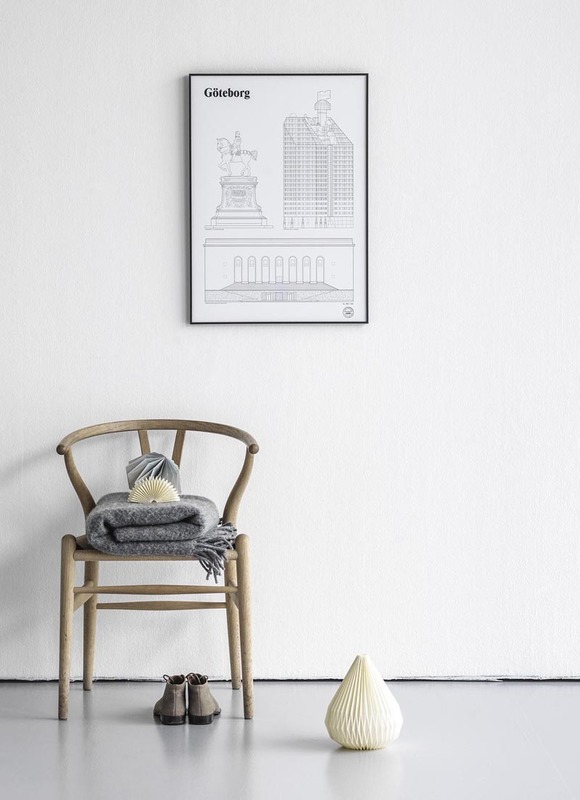 Presenting the city’s rich history of ornate 18th century architecture alongside its diverse Modernist buildings, the new collection is also accompanied by facts about the featured designs.